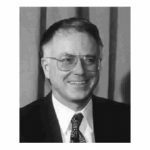 Educated in Building Engineering at Edinburgh Napier University and Applied Acoustics at Sheffield-Hallam University, Richard Mackenzie joined RMP as an acoustical consultant in 1993. He has extensive experience in major building acoustics projects including ‘The 2001 Stirling Prize’ MAGNA Project, Our Dynamic Earth, the Edinburgh International Festival Centre, Exchange Plaza, Festival Square, the Glasgow Science Centre Wing Tower, Glasgow Harbour Project and The Queen’s Graphic Art Gallery. Richard has extensive experience in providing expert evidence at planning inquiries relating to environmental noise impact and recently gave evidence at the Scottish Government parliamentary inquiry for the Edinburgh Tram Line project. As Principal Consultant and the Business Manager of RMP he has gained significant experience of project management of large scale contracts. Richard was a joint project manager on the HBF Robust Standards Details Project and is a co-author of “Housing and Sound Insulation”. 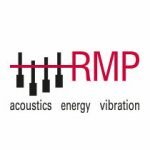 He is one of RMP Acoustics’ three Robust Detail inspectors covering the north-east of England, Scotland and Northern Ireland. Richard is one of the ANC examiners on the ANC Members Registration Scheme and is an ANC registered tester. Richard was nominated to the Council by the IOA members in recognition of his extensive work and contributions within the acoustics sector and applied research on behalf of government departments, such as Defra, DECC and Scottish Government.